Wondering what to do for the long Holiday Weekend? 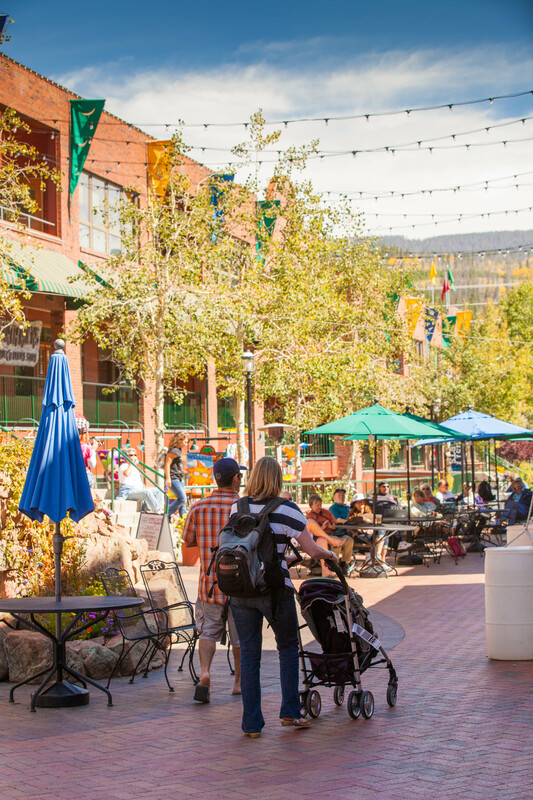 Join us in Winter Park as we Salute another beautiful Summer in the Rockies and look forward to Fall colors! Start the weekend off with Free Live Music in downtown Winter Park's Cooper Creek Square. Enjoy the music from one of the 8 restaurants, while you peruse the shopping stores! Bring an appetite and enjoy a selection of menu items from 2 featured Cooper Creek restaurants at each show. This is the final show of the season with Woodshed Red playing 6-8pm! Check the website for more details! Located in Granby from 2-7pm! Take advantage of the LAST Freeride Friday at Trestle Bike Park where the hours are extended to 7pm! Hop in your car after work and make it to the mountains with time for a few laps. After riding the dirt head to the Village for our Friday Music Series and Family Movie Night. Fridays are made to be spent at Winter Park Resort. Visit https://www.winterparkresort.com/things-to-do/activities/mountain-biking for more information and a full list of what's happening at the resort on Fridays. Almost Heaven weaves together the songs of John Denver to create a uniquely theatrical narrative that reflects upon the country during the years in which he wrote them and the events happening in Denver's life at that time. It featured 29 of John Denver's songs! Shows on Friday, Saturday, and Sunday. Click here for more info! The Zoppé Italian Family Circus is returning to Grand Park for Labor Day Weekend and Celebrating 175 Years! This is one of the last family run, one ring circuses left touring the United States. The Zoppé Circus is unapologetically authentic, from its intimate 500 seat tent with wood plank bleachers to a performance that includes small animal acts, trapeze acrobatics and the kind of grand gesture, silent comedy perfected by Charlie Chaplin. Shows are September 1st-4th. Click here for info and tickets! Come checkout Summer Clearance Sales with Live Music by the Peggy Mann Band, a Free Photo Booth, Face Painting, Balloon Artist, Bouncy House and Playground! Go for a run in beautiful Winter Park! 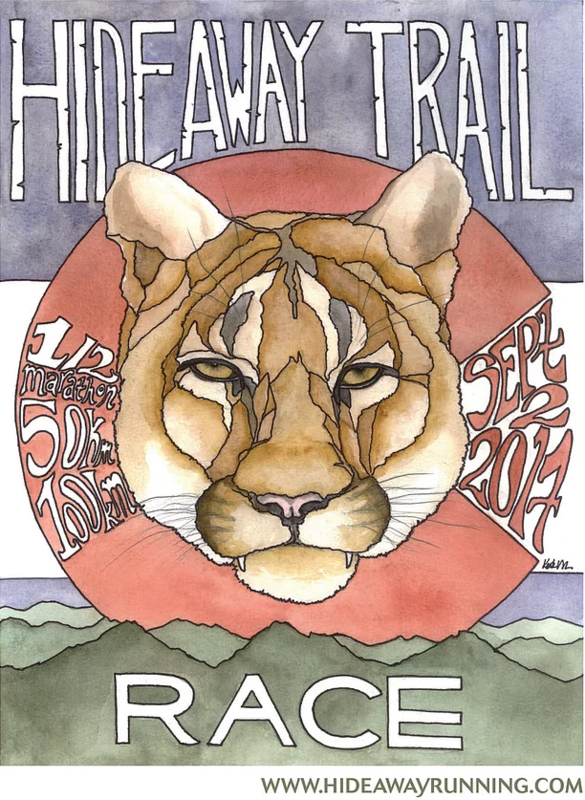 Half Marathon, 50KM and 100KM are the options for the Hideaway Park Trail Run which starts and ends in Hideaway Park with climbs up the continental divide in between! For more info and to register, click here! Join the Grand Foundation in a Charity Kickball Tournament on Labor Day! 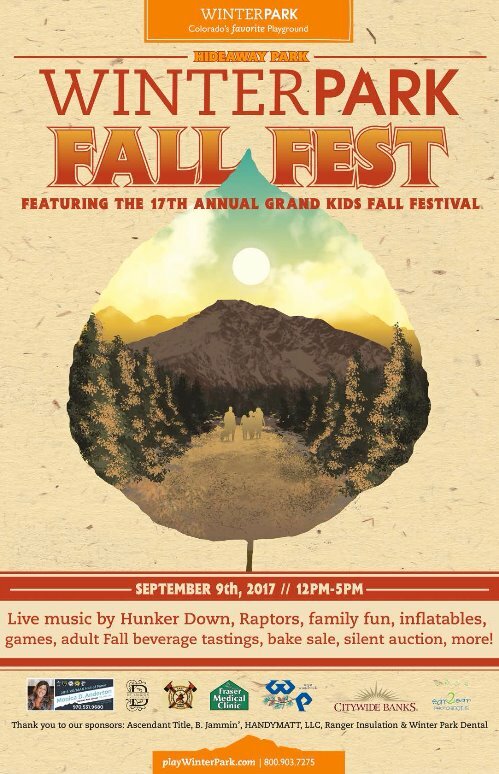 All proceeds benefit the Brammer Family Fund, a fun of the Grand Foundation assisting Grand County Families affected by Cancer. Head out to the Fraser Valley Sports Complex for a silent auction, bake sale, live music, and fun on September 4th, 2017! To learn more about the Grand Foundation head to GrandFoundation.com! Come join us for this brand new event nestled amidst the wonder of fall in the Rockies! There will be live music, hay rides, kids activities, face painting, apples, cider and more! A party to celebrate the end of the 2017 Trestle Bike Park season. Enjoy live music and New Belgium Beer!